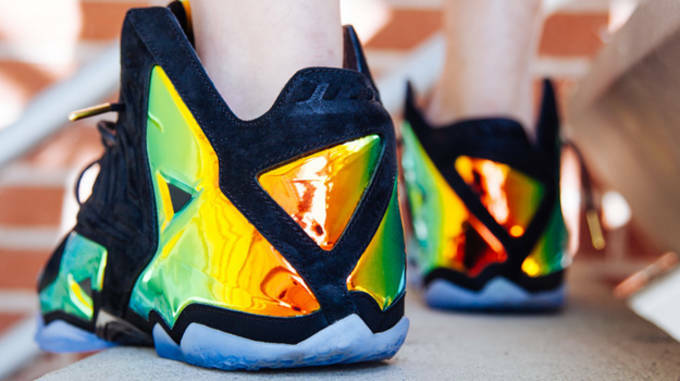 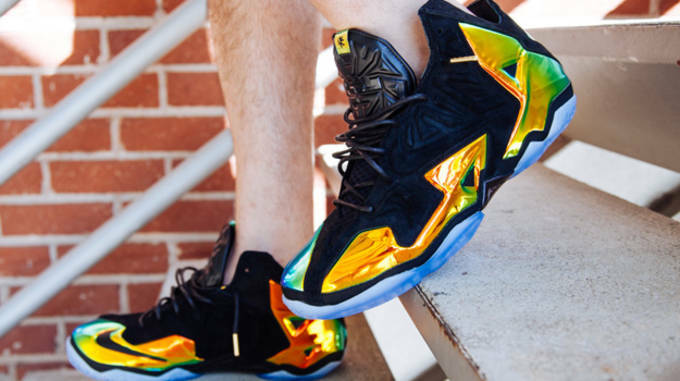 Get Up Close and Personal With the Nike LeBron 11 EXT "King's Crown"
Even though Nike is already working diligently on the LeBron 12, that hasn&apos;t stopped them for rolling out new colorways of the LeBron 11, including the "King&apos;s Crown" which finally has a confirmed release date and detailed pictures. 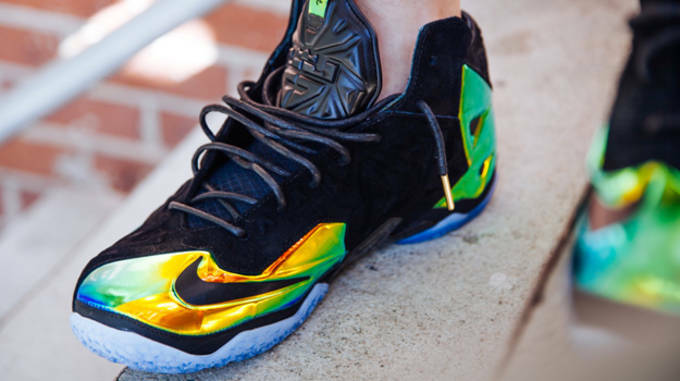 Celebrating LeBron&apos;s back-to-back titles, Nike debuts LeBron 11 EXT "King&apos;s Crown" in a one of a kind look. 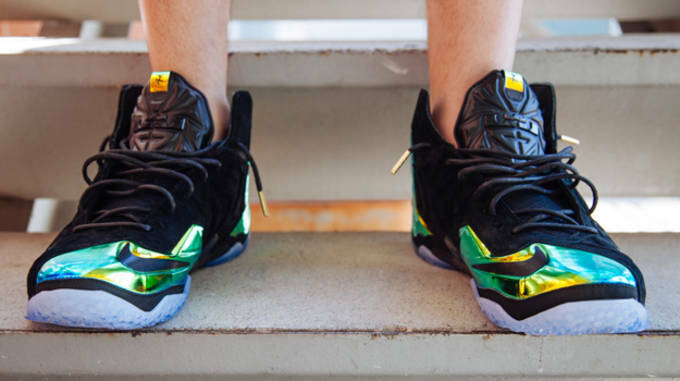 Coming in a black suede base, Nike paid homage to King James dominance of the NBA by adding in iridescent gold material over where the Hyperposite would normally go. 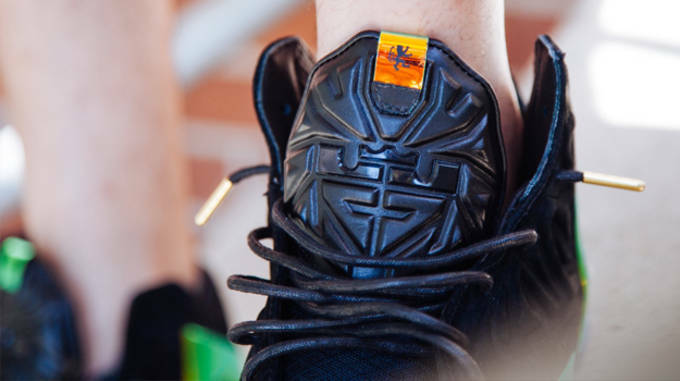 The tongue consists of a shiny black leather with high detailing throughout, and finished the look with an icy translucent outsole, and gold tipped laces. 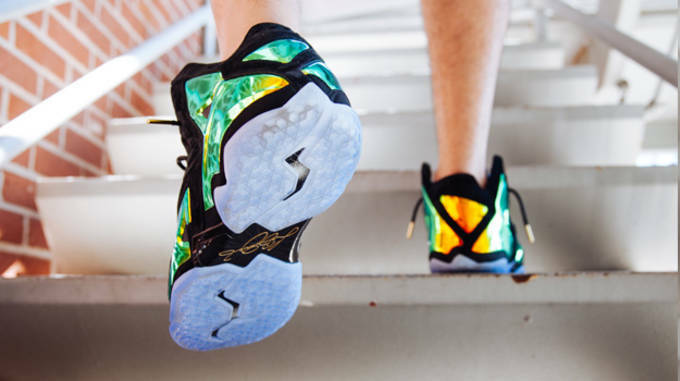 These will certainly be one of the most heralded releases of the LeBron 11 to date, and according to PrivateSneakers.com, they are scheduled to hit retail July 5, for a suggested retail of $250.